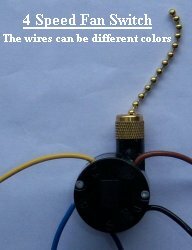 Switches for ceiling fans can look identical and have different switch patterns. 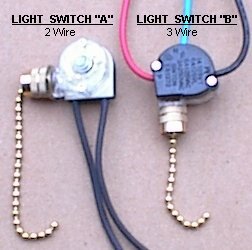 When replacing a switch, the new switch must have the same switch pattern as the old switch. The plastic rotor in the switch will have a small metal shield around it's OD. This shield determines the switch pattern. To determine what you need, the switch must be opened up in order to observe the shield. You can send the old switch to us or you do it yourself. Disconnect the power to the fan before removing the old switch. (Make sure to write down the position of all wires that you disconnect in the process of removing the switch). Carefully break the switch apart and observe the rotor shield. It should match one of the diagrams shown on this page. Order the new switch by shield number.